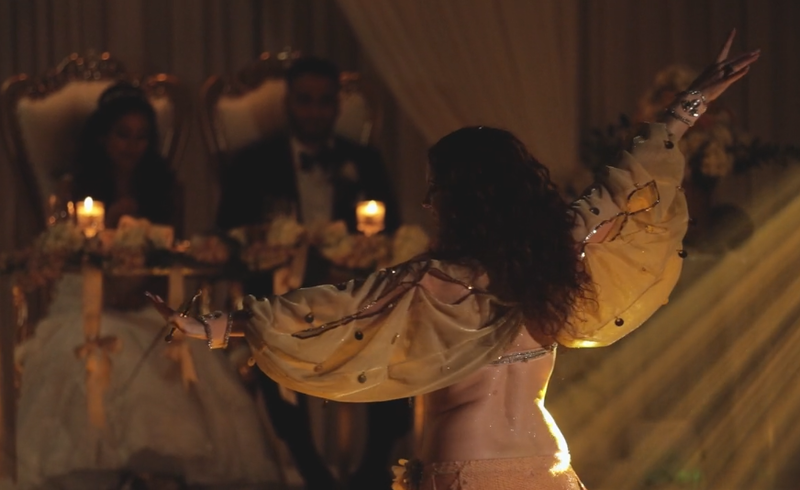 Belly dancer and Bollywood dancer for events, parties & weddings in VA, DC, MD and more. Here are a few clips of Samira. Samira performing Dil Cheez Kya Hai on Dance From the Heart on GTV (Global Television). Makeup by Masuma. 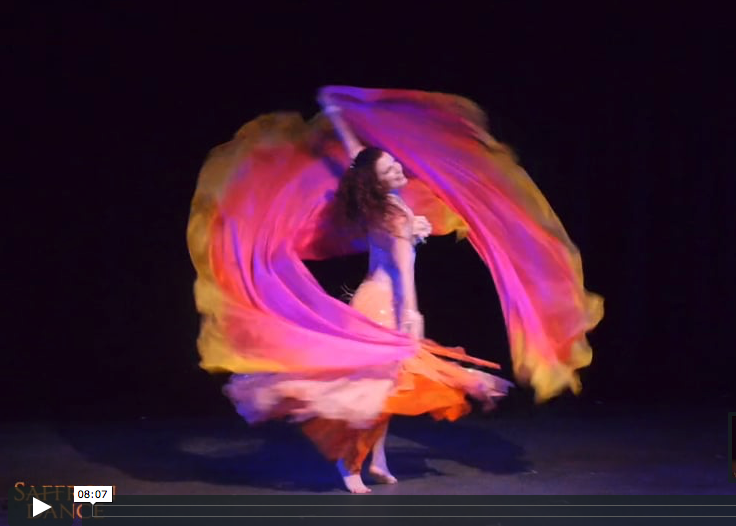 From Saffron Dance's show Le Mirage. July 2018. All improvisational dance with silk veil followed drum solo. From Mariana & Adam's wedding August 2018. Just a tiny taste. A slide show from performances and events over time. Music by Carmine Guida. Different elements of a full show. This includes intro, double silk scarves, sword, tabla solo. Improvisation drum solo with Mohcine Saqi. Bollywood clip for a few years ago. Family friendly Bollywood Mujra - storytelling dances.